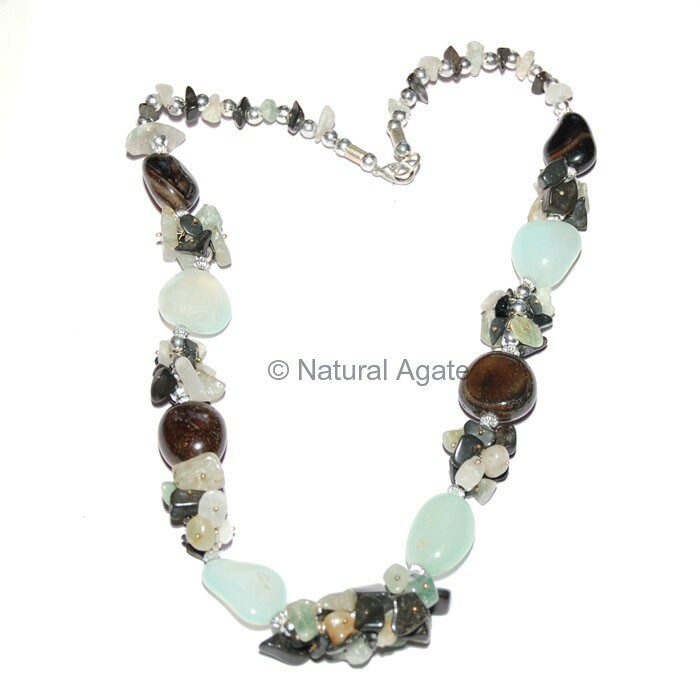 Fancy Onyx Necklace is a hand crafted necklace especially made at Natural Agate. Combination of blue and black looks perfect. No bead is identical.